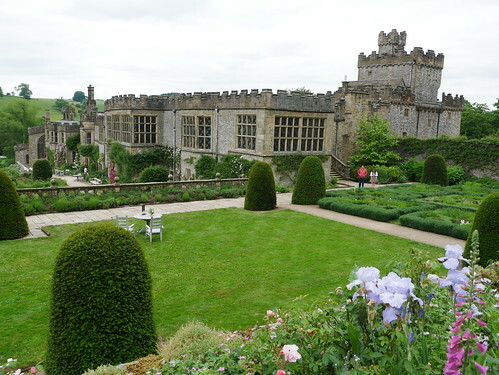 Haddon Hall is an English country house on the River Wye near Bakewell, Derbyshire, one of the seats of the Duke of Rutland. 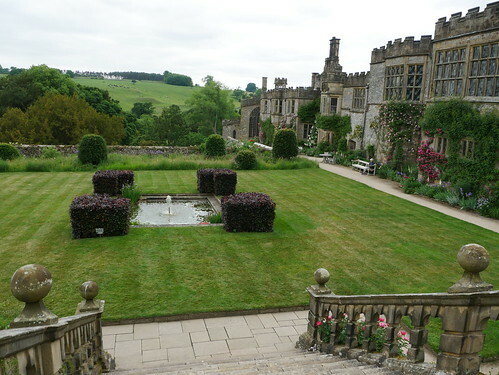 It is currently occupied by Lord Edward Manners (brother of the current Duke) and his family. In form a medieval manor house, it has been described as “the most complete and most interesting house of [its] period”. The origins of the hall date to the 11th century. 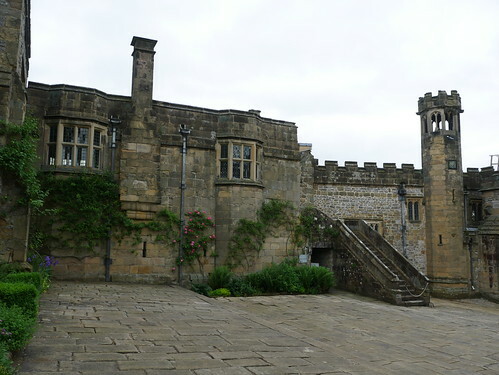 The current medieval and Tudor hall includes additions added at various stages between the 13th and the 17th centuries. 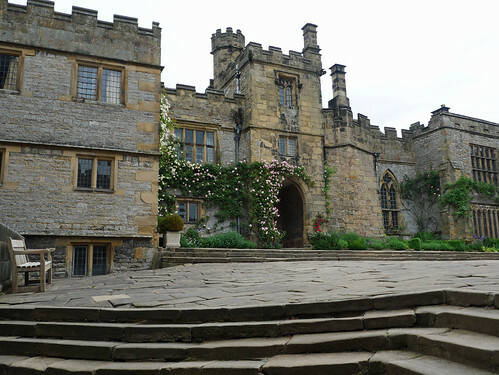 The Vernon family acquired the Manor of Haddon by a 12th-century marriage between Sir Richard de Vernon and Alice Avenell, daughter of William Avenell II. Four centuries later, in 1563, Dorothy Vernon, the daughter and heiress of Sir George Vernon, married John Manners, the second son of Thomas Manners, 1st Earl of Rutland. A legend grew up in the 19th century that Dorothy and Manners eloped. The legend has been made into novels, dramatisations and other works of fiction. She nevertheless inherited the Hall, and their grandson, also John Manners, inherited the Earldom in 1641 from a distant cousin. His son, another John Manners, was made 1st Duke of Rutland in 1703. In the 20th century, another John Manners, 9th Duke of Rutland, made a life’s work of restoring the hall. Always amazed on these estates. The origins of the hall date to the 11th century, according to the documents back from that era. But once the medieval and Tudor hall additions covered the original building in subsequent centuries, it is difficult to guess what the first architecture looked like. The greenery that grows up the external walls softens the look beautifully, especially around the front door. I am not sure why but I have just found your comment trapped in my spam folder! Yes there are lots of different architectural styles to this hall. England has SO MANY of these treasures, Cherry. You’d have to live several lifetimes to visit them all! It is a very interesting building and the garden is delightful. Very impressive. 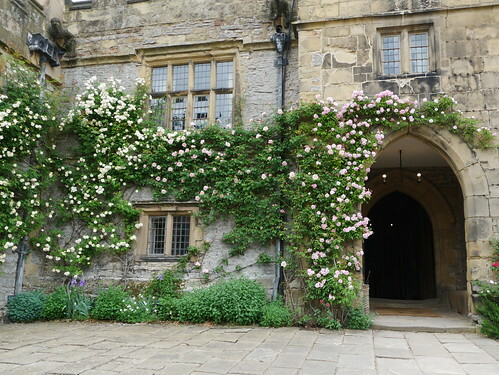 I especially like the flowers near the door. Me too! In fact the gardens all look spectacular. The gardens are lovely, I will post more pictures soon. There are some other windows adorned with flowers in a similar way. Sounds like that would be a life’s work – restoring such a property. It is a never ending task. A lovely set of photos. It looks a beautiful place. One some of our trips to Derbyshire I have seen signs to the Hall and thought I must visit one day. I think you would enjoy it It is rather expensive but they accept the BBC 2for1 garden card if you have one. I have never been to Bakewell. Did you try some local Bakewell tarts in their tea room?